I wanted something cute and quick I could whip up for St. Patrick's Day. I finally decided I wanted a little cross stitch shamrock I could wear on my shirt or sweater. I couldn't find the exact pattern I had in mind, so I made my own. 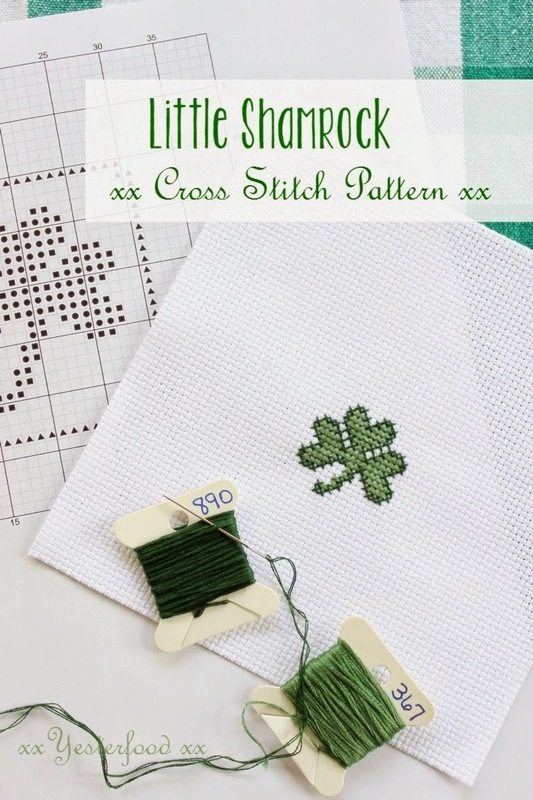 And I thought you might like to make a cross stitch shamrock, too, so I'm sharing the pattern with you! I stitched this on 14 count aida cloth using 2 strands of embroidery thread. You can make just the shamrock, or you can add the little border to it. I worked it on a 6" square piece of white aida cloth. I haven't decided exactly what I want to do with it yet. My initial idea was to fasten a pin to the back and make a little brooch, but there are lots of other things you could do. Add it to a 7" or 8" ribbon for a bookmark; put it in a little frame; place it in a mason jar lid and fill with St. Patrick Day goodies. I think I'm going to have to stitch a few more to do all the things I want to do. Get the pattern at the link just below- you will probably want to have your printer set at a good quality print level so the grid lines will show up. Shamrock with optional border- finished size with border is 1 and 5/8"
We go to these fun parties, including Susan's! What a cute shamrock! I don't know how to cross stich yet - but wouldn't mind learning. Pinned for later via Blogger Brags. I haven't crossed stitched in years. has a birthday on the 17th. Visiting from BNOTP at Susans. You constantly amaze me at how talented you are. It has been decades since I have crossed stitched. I need to teach my youngest how to do it. She would love it. This is so cute! I've been wanting to start cross-stitch and this seems like an easy start. thanks for the links as well! How very cute and I love the idea of turning it into a bookmark! How cute and it's so great that you provided the pattern. Years ago, I loved cross stitching. I'm not sure why I stopped. This is a good reminder that it's a fun craft with so many possibilities. 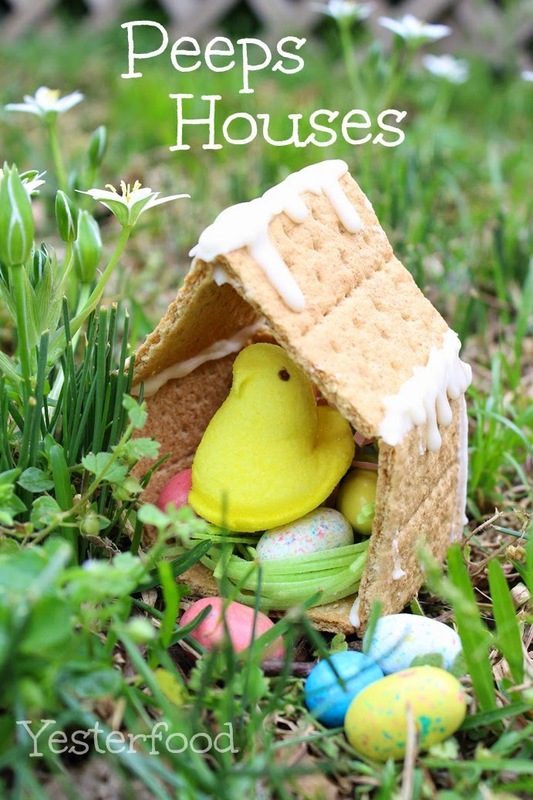 I'm so glad you shared this on the Spring Craft Blog Hop. Thank you! So adorable! You are so talanted. visiting from show and tell linky....very nice. I learned to embroider (stamped) when I was 8. Stopped about age 13 and went to crewel and needlepoint and never picked embroidery back up! But I have to say, it is my favorite decorative craft...looks amazing! So sweet! If I had time I'd cross stitch! Joy, that is so cute! Thank you so much for taking the time to share with us at VMG206 Brag About It! This is sweet! I still do a lot of embroidery, but I haven't cross stitched in years. Makes me want to. Thanks for sharing with SYC. Joy, this is adorable! 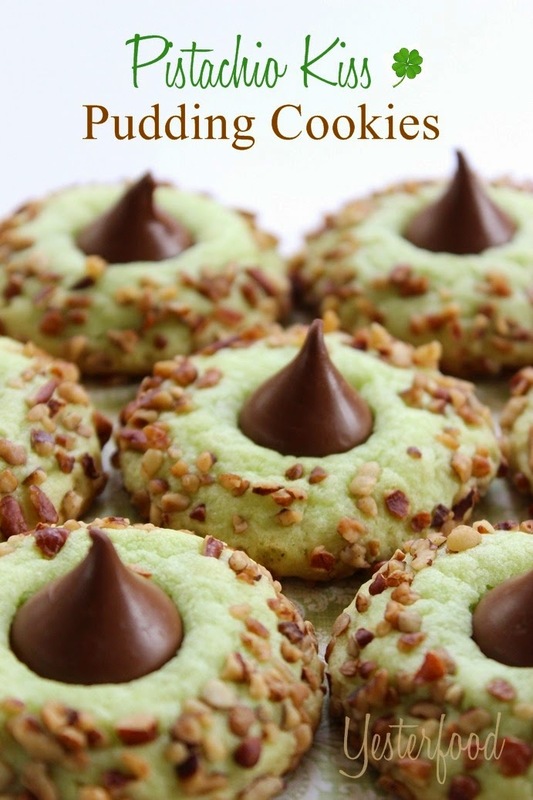 Thanks so much for sharing this at the Bloggers Brags Weekly Pinterest Party. I am pinning it to the Bloggers Brags board on Pinterest. We hope you come back again next week! Such a cute shamrock! Thanks for sharing the pattern and all the how to's! This is really cute, thanks for stopping by to share on Friday Features! This is just too cute! Repeated it would make a great border. What an adorable cross stitch. Such a sweet shamrock. It really is beautiful and so simple. Thanks for sharing with the Thursday Blog Hop! Great little project! I have featured it in my weekly favorites this week, cheers! Thanks so much for sharing at Karen's Up on The Hill! I look forward to seeing what you share this week! This is so cute! I didn't find your post in time for this St. Patrick's Day but I'm bookmarking it for next year. Thanks for sharing! This is so sweet, Joy. It's been many years since I've done any cross stitching, but I find hand stitching of any kind therapeutic. Pinning for next year.